What started in 1950 as Numrich Arms, a small gun shop in Westchester County, NY, is now America’s leading supplier of gun parts and accessories. Founded by businessman George Numrich, we further his vision by constantly growing our product inventory and streamlining our online ordering process. We are proud to call ourselves Numrich Gun Parts Corporation - The World's Largest Supplier of Gun Parts. 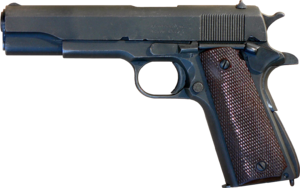 We serve the gun community by providing the largest assortment of hard-to-find firearms parts and accessories. 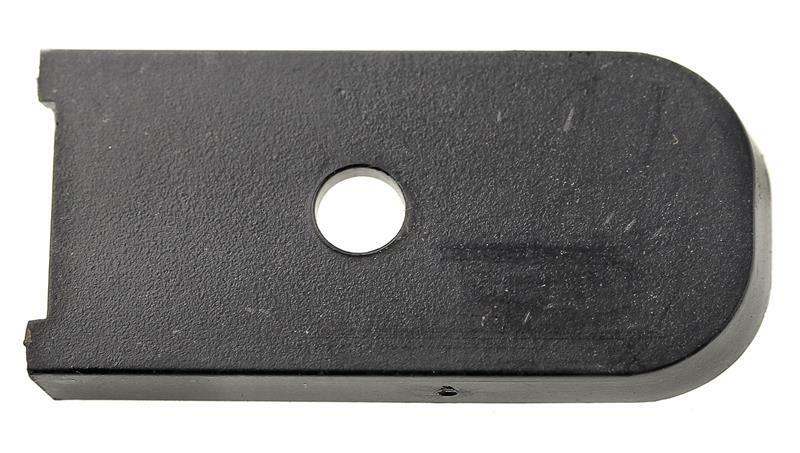 Our specialty resides in acquiring and selling modern and obsolete original and replacement gun parts from all major manufacturers, both foreign and domestic. We also provide the largest collection of gun schematics available. 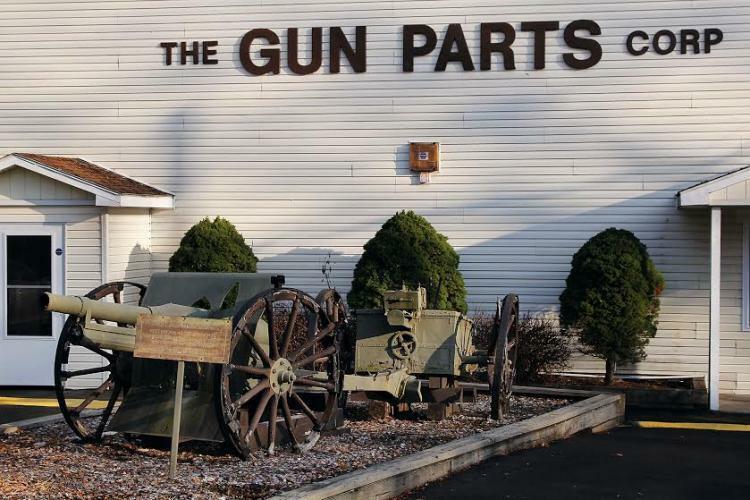 Numrich Gun Parts Corporation is located at the foot of the scenic Catskill Mountains and supplies vintage and obsolete gun parts to the U.S.and Canada. Our property includes seven warehouses of inventory totaling 1,000,000 cubic feet and a manufacturing plant. We support America’s firearm legacy by supplying the parts that fix, restore, improve, and complete every gun, regardless of when or where it was made. 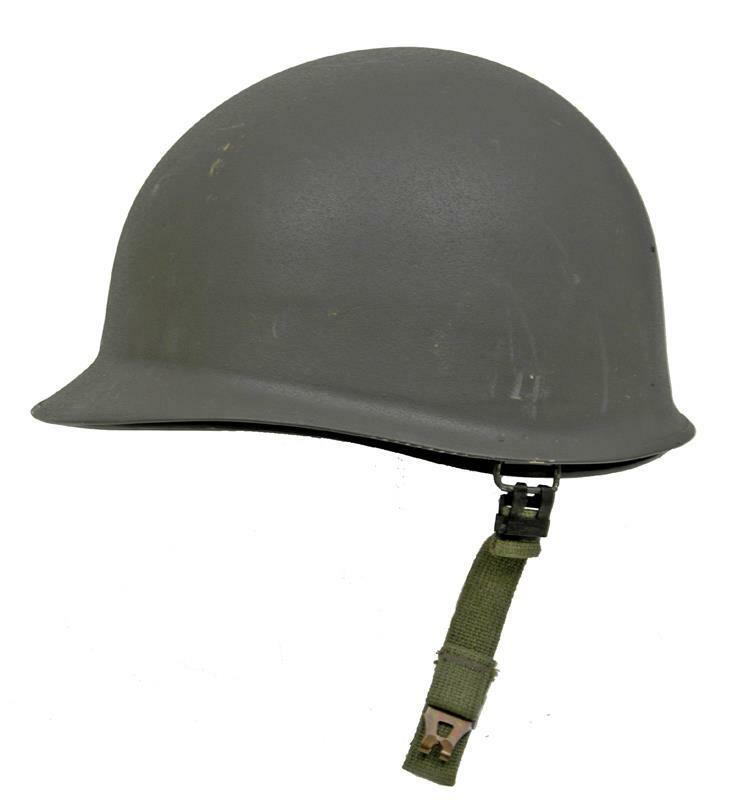 With our constantly-growing inventory of commercial parts, military surplus, and rare, antique parts, we are honored to be your gun parts supplier now and for generations to come. Thank you for choosing Numrich Gun Parts Corporation. 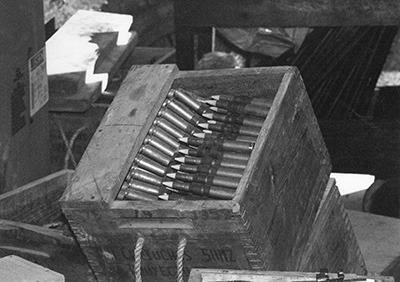 These U.S.-made M2 .50 caliber (12.7 x 99) linked armor-piercing incendiary rounds were acquired in the early 1950s. We had huge quantities at the time! The wooden crates were marked ".50 M2" and had other appropriate designations. 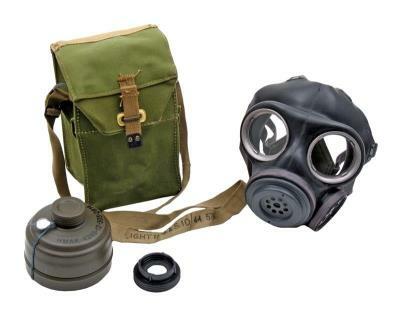 Many rounds were sold to NATO countries and South America. The tips appear white in this photograph, but we are uncertain of what they were made. 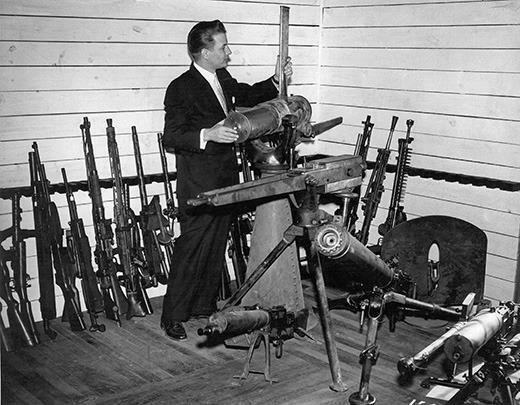 George Numrich is pictured examining his newly acquired 1877 Colt Gatling Gun in the Machine Gun Room at Numrich Arms. The upstairs room was called The Museum Room until the collection was donated to the West Point Museum in the late 1960s. Also pictured is a Gardner Gun (to the right of the Gatling Gun), and a Browning M2 .50 caliber water-cooled machine gun (below and to the right). On the floor in front is a German MG 08/15 gun with belt drum. These were collected through various purchases of surplus parts. Many of them were donated to West Point Military Academy. George Numrich and employees celebrate the St. Valentine's Day Massacre with Thompson SMG. 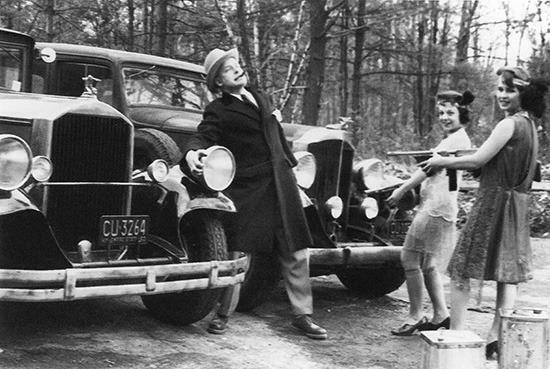 On February 14, 1929, Al Capone's men shot and killed George "Bugs" Moran's rival gang members. 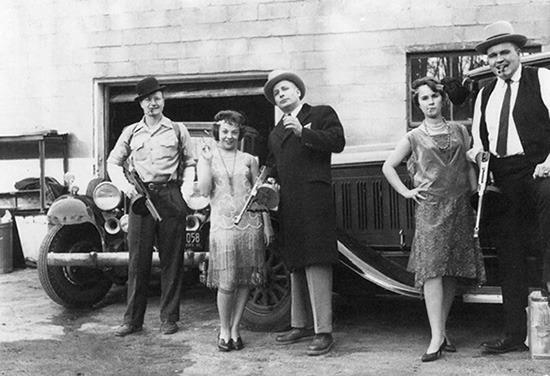 Along with other firearms, Capone's men used two Tommy guns during the encounter. The St. Valentine's Day Massacre was considered "the most infamous of all gangland slayings in America" at the time. 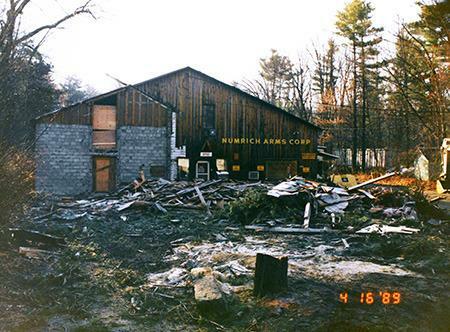 An old wooden-framed building that sat on the Numrich Arms property collapsed on an inventory of 20mm ammunition. The building was cleared for a new metal warehouse to be constructed, Warehouse #1, one of our seven warehouses today. This picture shows the early excavation prior to the concrete floor. Note the two Gatling guns in the background and the Krups cannon in the foreground along with several other cannons of various manufacturing. 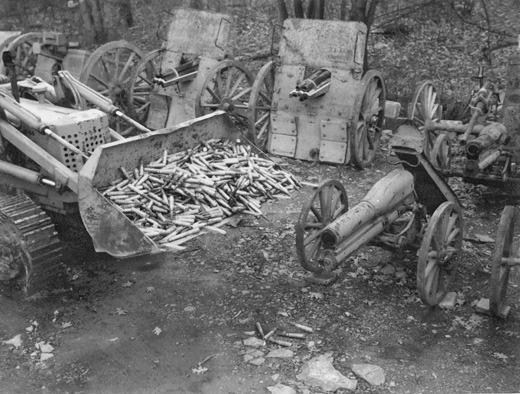 Huge piles of 20mm ammunition were scooped up in the loader bucket because the wooden ammunition cases did not survive the collapse. In this photo from 1965, an employee adjusts the sights on what we believe to be a 37mm anti-aircraft deck cannon. It’s an intriguing piece of artillery, but we’re not certain whether or not it’s US Military. The Japanese Daihatsu three-wheel truck on the right was our first van. Behind the cannon stands the original retail store, which has since been coverted into Warehouse #2. Note the large retail store windows. 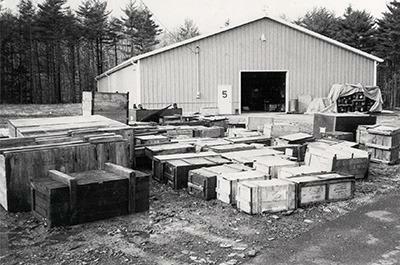 This is what the Numrich machine shop looked like circa 1977 when we manufactured a variety of barrels. It was in this shop that barrels were drilled for the Hopkins & Allen black powder line. We also produced all the barrels for the Hopkins & Allen Minuteman kits, which ceased production around 1978. 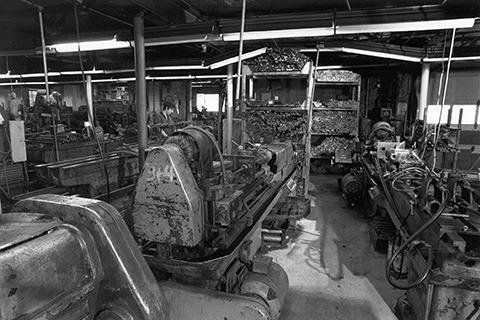 The machines in the picture originally came from Savage and were used to craft our barrels, many of which can be seen in the background of the picture on the shelves. The destruction of this building in April 1989 was similar to the damage that Hurricane Irene recently caused in our area. Luckily, we did not sustain too much damage from the hurricane. The area in the foreground is now the site of our office building, which connects to the original Numrich Arms building pictured here. 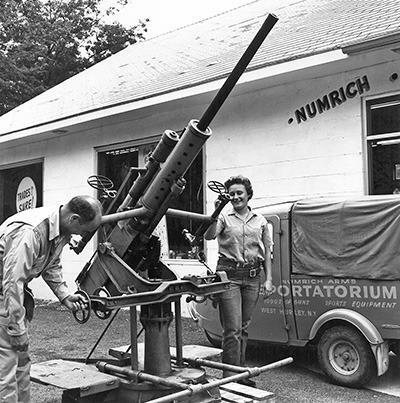 This French 75 cannon was placed in front of Numrich Gun Parts Corporation's offices in the early 1990s. The French 75mm M1897 field gun, commonly known as the French 75, was a quick-firing field artillery cannon adopted in March of 1898. Its official French designation was Matériel de 75mm Mle 1897. It was the first field gun of its time to incorporate a hydro-pneumatic recoil mechanism, which kept the gun's trail and wheels perfectly still during the firing sequence. The French 75 was eventually adopted by the United States and various armed forces around the world. When the leaves were just beginning to show in the early spring of 1992, we acquired numerous crates of bayonets and scabbards. They arrived in different sized crates and were piled in front of Warehouse #5. Once they were counted, and sorted, they became part of our ever-changing inventory.